The AOL Instant Messenger group took the deepest cut so far. A former AOL employee said the group was "eviscerated and now only consists of support staff." This person, who asked not to be named because they were not allowed to speak publicly about the company, added that "nearly all of the West Coast tech team has been killed." Support staff only means no more developers. No more developers means no more new software. No more new software means AIM stops growing and changing forever, frozen on the decline—we'll never know if the new client could have been great. AOL still somehow hopes to milk "$25 million a year" from tranquilized AIM, but put their business fantasies aside: the staff execution only makes formal what was happening anyway. AIM was long ago defeated by a pincer attack from Gchat and Facebook—the former is the IM staple for the employed, the latter the golden protocol for students, tweens, and below. Oh, and Twitter happened. AIM was beaten at its own game, overwhelmed by popular new things and too many years of bloated software. There's nothing particularly surprising here—just sad for those of us who spent so much time with a program. 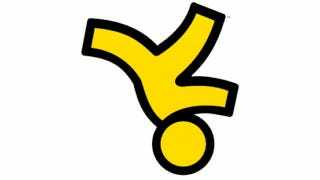 For software that was near mandatory for keeping up with your friends, AIM was kind of a friend itself. Update: An AOL rep tell us they have no official statement on the future of AIM.